Prosecutors said that investigations continue into whether Gokmen Tanis' alleged actions "flowed from personal problems combined with a radicalized ideology"
A tram is seen in Utrecht, Netherlands, Monday, March 18, 2019, after a shooting incident occurred on board. A gunman killed three people and wounded several others. The main suspect in a deadly tram shooting in the Dutch city of Utrecht will be charged with offenses including multiple murder or manslaughter with a terrorist intent, prosecutors said Thursday. Investigations so far into Monday's shooting that left three dead and three seriously injured indicate that the shooter acted alone, prosecutors said in a written statement. The main suspect, identified by police as Gokmen Tanis, a 37-year-old man of Turkish descent, also faces charges of attempted murder or manslaughter and making threats with a terrorist intent. The prosecution office statement adds that investigations are continuing into whether the suspect's actions "flowed from personal problems combined with a radicalized ideology." The team investigating the shooting will ask a forensic psychiatry and psychology institute to carry out a personality test on the suspect. Tanis is to appear before an investigating judge on Friday. Such hearings are held behind closed doors. A 40-year-old man detained Tuesday afternoon is still under investigation to establish "if he possibly had a supporting role, outside the shooting incident," prosecutors said. 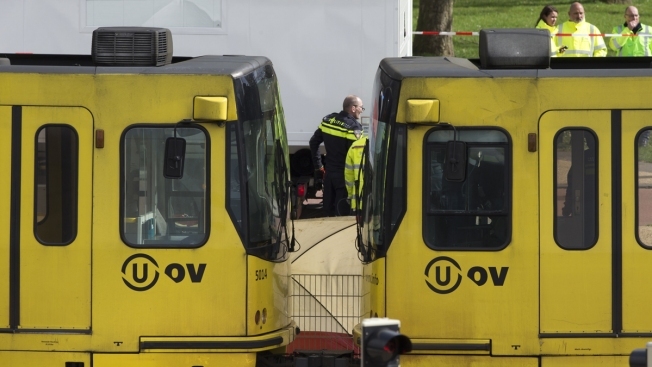 Two men and a woman were killed Monday when a shooter opened fire on a tram in Utrecht. Authorities put the Netherlands' fourth largest city in lockdown for hours amid fears that more than one shooter was active at different locations. The terror alert level also was raised from four to the maximum five while police hunted for the shooter. It was dropped to four once the suspect was detained. Prosecutors have said they were focused on a possible terrorist motive because of the nature of the shooting — they say none of the victims was known to the alleged shooter — and because of a note found in a getaway car. They have not disclosed what was written in the note. A silent march is planned for Friday evening in Utrecht to commemorate the victims.